May 7th I am headed back down to San Diego for my second live set this year. 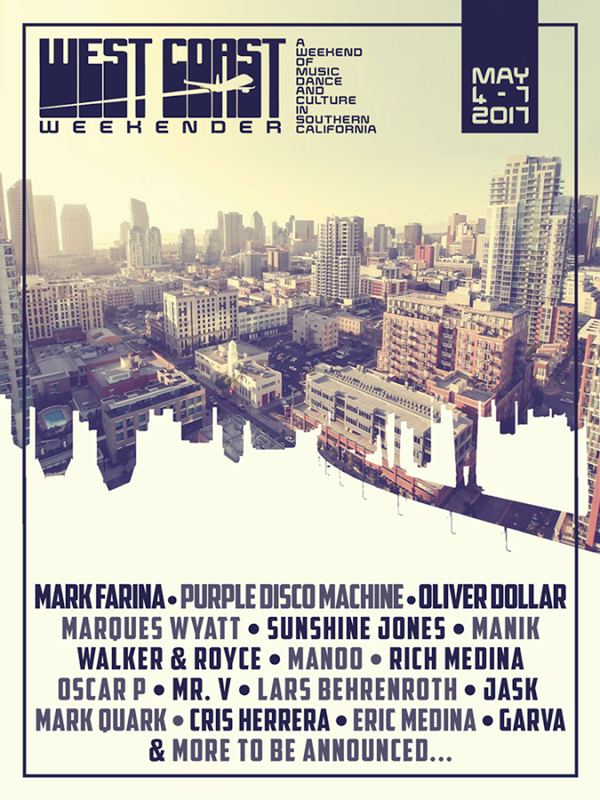 This time it’s a very special event: The West Coast Weekender closing event on Sunday with Mark Farina. Outdoors, completely live, and beautiful. Can’t wait! See you there!!! !